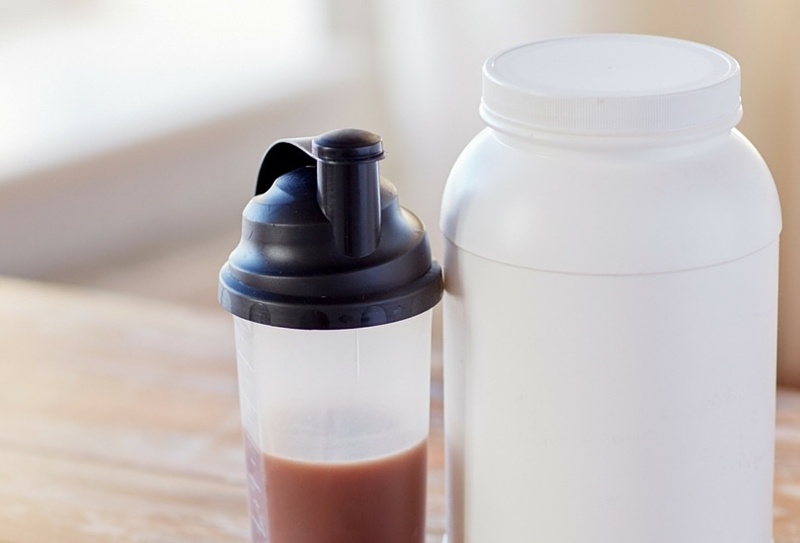 Protein powders are often added to smoothies for a nutritional boost, but these supplements are a fundamentally unnatural concept and have no place in a healthy diet. Nature did not intend for protein to be wholly isolated from its original form. Chemically isolated protein is an adulterated food, and our bodies don’t know how to assimilate it. Protein powders are an imbalanced nutritional supplement because they contain an unhealthy proportion of high protein to extremely low fat. Nutrition expert Sally Fallon explains in her landmark book the problems of consuming protein without adequate saturated fat. Protein cannot be adequately utilized without dietary fats. That is why protein and fats occur together in eggs, milk, fish and meats. A high protein, low fat diet can cause many problems including too rapid growth and depletion of vitamin A and D reserves. Source. Protein powders often contain “natural flavors.” This term conveniently eliminates the need to list unsavory additives on the ingredient list. “Natural flavors” can even mean forms of MSG and artificial sweeteners. MSG and other carcinogens tend to be formed during the processing of protein powder and end up in the final product. Further, Consumer Reports discovered that some popular protein powders and protein drinks contain significant amounts of heavy metals. Whey protein is a product of cheese making. The milk used to produce whey protein powders is from confined, antibiotic-laden, grain-fed cows. Grabbing a container of protein powder at the supermarket doesn’t allow you control over the quality of ingredients. In a nutshell, soy wages war on your health. Soy has been shown to have devastating health consequences for both men and women by disrupting hormones. In one study, men consuming a soy protein powder supplement had a 19% drop in serum testosterone in one month. In animal studies, soy leads to accelerated puberty. Soy consumption also disrupts thyroid function due to the goitrogen levels and may increase the risk of breast and prostrate cancer (source). Additionally, most soy is genetically modified. Soy also contains enzyme-inhibitors that prevent the digestion of protein. This is extremely problematic because it places stress on the pancreas, the organ that secretes digestive enzymes. Both the overcompensation of digestive enzymes from the pancreas (and the ensuing depletion of enzymes from the pancreas) and the undigested protein cause inflammation and a permeable gut. Protein powders are consumed widely by athletes and body builders, but also by those who do not exercise rigorously. These non-food products are frequently used as a meal replacement for dieters or those who don’t want to find the time to prepare food from scratch. Children, pregnant mothers, and (almost all) athletes can meet their protein requirements through whole food sources. While collagen and gelatin are pure protein, high-quality brands are carefully processed to be assimilable by the body. These superfoods boast a whopping 7 grams of protein per tablespoon. Interestingly, the amino acid profile in gelatin is uniquely healthful. It contains a high percentage of glycine, an amino acid shown to improve sleep and may improve insulin sensitivity. Gelatin is also prized for improving digestion and soothing the digestive tract. I only recommend gelatin from grassfed cows, which is Vital Proteins gelatin. My favorite way to eat gelatin is in my Tulsi Geleé. 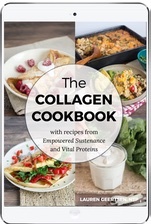 Vital Proteins collagen (in the blue jar) boasts the same amino acid profile and protein content as gelatin, and it dissolves instantly in hot or cold beverages. Easy, healthy, quick, hardboiled eggs are the original fast food. The white provides quality protein made useable because it is paired with the nutrient-dense yolk. Always eat the white with the yolk – otherwise you are getting an incomplete protein. The yolk provides valuable cholesterol, fatty acids, and minerals. When I’m preparing hardboiled eggs, I’ll make a whole dozen and put them back in the carton. Then I mark the carton with a big HB or a bright sticker so I (or other family members) don’t mistake these for uncooked eggs. It’s nearly as much fun to eat as it is to say. This traditional meal-on-the-go provided early travelers and explorers with a nourishing combo of fat and protein. It always contains a mixture of tallow (fat) and jerky with some salt. You can find different varieties of pemmican, some with dried cherries or other natural flavor additions. It beats protein powder in both nutrition, convenience and flavor. Bone-building calcium, muscle-building protein and hormone-balancing saturated fat… processed protein powder can’t even come close to cheeses time-honored resumé. For a high quality fat and protein (plus some anti-carcinogenic CLA and bone-building vitamin K), source cheeses from grassfed cows (or goats or sheep), preferably raw milk cheese. Do you use protein powder? What whole-food sources of protein do you enjoy? Carrageenan: Causes Colitis in Rats, but Safe for Humans? I used to eat egg whites and leave the egg yolks before going to the gym. I didn’t know that egg yolks would balance the nutrients. Thanks for sharing..
Could taking whey protein be giving me acne? And if so, would a vegan protein powder be better to take? Yes- whey protein contains hormones that cause your oil glands to over-produce oil and your skin cells to build up at an increased rate, leading to acne. A vegan powder would definitely be better, just find one that isn’t soy-based. I’ve been using an organic plant and herb based protein powder from Dr. I have trouble with bloating also. You might want to consider if you are battling Epstein-barr virus. Dandelion tea is another good thing. I am going to try the hard boiled eggs in a recipe that calls for egg powder! It could be the artificial sweetener in the powdered BCAA. Try using BCAA in the pill form. Sprouted tofu or tempeh (fermented soy) are two other options you may want to consider. Both can be found at grocery stores that have a natural/health section. It is so nice hearing from you again. Your recipes are fantastic. Thanks also for the reminder of the value of sauna.